White Mulberry Leaf Tea online ordering. 8 100g White Mulberry Gift Packages ~ 35% Off Retail. Reseller Kit. Dr. Oz's TV Show Recommendation of White Mulberry Leaf Tea is Great News! 98% of all order ship within 24 hours. Canada : 2 to 7 working days by Priority Mail. Might be longer if a custom's agent can't resist a sniff our amazing herbal tea leaf aroma! UK, AU/NZ, MY/SG, DE, JP, EU and other countries! We ship via Thailand Priority Registered Airmail in 1 to 3 weeks. 100% Satisfaction Guaranteed ~ we will refund your money without question. Order in bulk and save ~ our product has an 18 month shelf-life. International Export Quality Product ~ Licensed, Certified, Tested and Approved for EU and USA food consumption. Western management guarantees quality, safety and friendly service ~ in English! Thailand FDA approved as a fair-trade, organic, whole-food product. ISO Certified ~ Good Agricultural Practices (GAP) and Good Manufacturing Practices (GMP). Order shipped off the USA mainland will take longer for delivery... but you already knew that, didn't you? under License of Ministry of Agriculture. ISO Certified GAP and GPM. Mulberry leaf tea is an herbal drink that is useful for health. The production process of mulberry leaf is the same as ordinary tea. Dating back for centuries, mulberry leaf tea was served as a drink for the Chinese Emperors and also in the royal courts of Japan and Korea. Everyone can drink it every day. 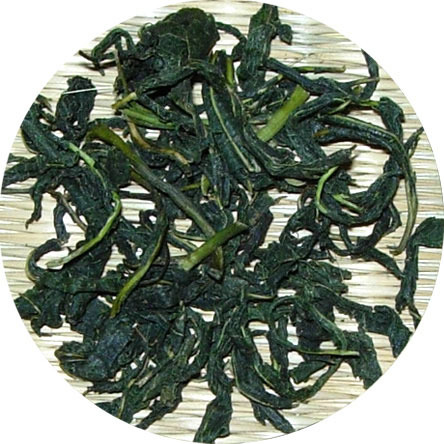 Mulberry leaf tea is suitable for young and old because it offers several vitamins that are useful for health. For patients who suffered from diabetes or high blood pressure, mulberry leaf tea can help decreasing sugar levels and blood pressure. What are the benefits for the body? Analysis at the Mulberry Research Center of Thailand found mulberry leaf contains 18 amino acids, minerals and vitamins such as calcium, potassium, sodium, magnesium, iron, and vitamin A-B1-2. The most important ingredients are ‘phytosterol’ and ‘gamma-amino acid’ which help to decrease cholesterol level in the blood and high blood pressure. Is Mulberry leaf tea safe? 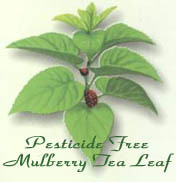 Mulberry leaf tea is a naturally pure herb that is non-toxic and very safe to drink. It is very good for the elderly to drink everyday and can fend off disease Pregnant women, breast feeding mothers and young children should not drink large amounts unless under the supervision of a qualified professional. What are the contraindications? What are some other uses? Mulberry leaf tea has many benefits but users should be cautious of any ill effects. One study found that mulberry leaf may stop the HIV enzyme. Another case study by pharmacist team of Samroang Hospital, Ubon Ratchathani, Thailand tested 82 patients with diabetes. After receiving mulberry in capsule form three times a day for 8 weeks, 90% of the patients had an overall average decrease in blood sugar levels of 24%. The most common areas for mulberry trees are in the northeast of Thailand; especially in the provinces of Nakorn Ratchasima and Burirum which are famous for silk weaving. 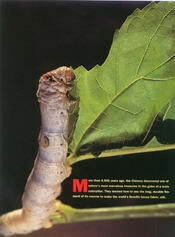 Mulberry leaves are used as food for silk worms (Bombyx Mori). 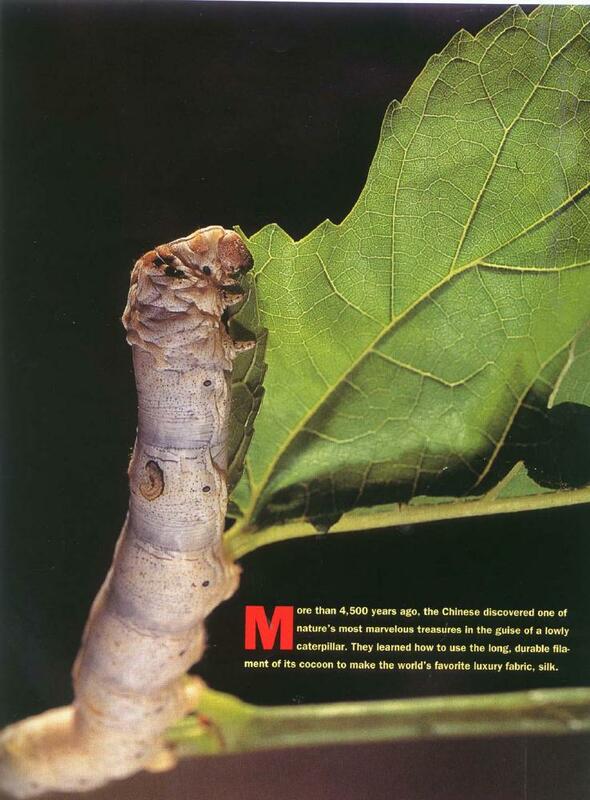 Is Mulberry leaf used as part of Traditional Chinese Medicine? This healthy tea is abundant in minerals and free of pesticides, caffeine, sugar, colorings and preservatives. Mulberry's natural aroma and bitter-sweet flavor creates a delicious beverage that may nourish the body. Mulberry is not really a tea, but an infusion of the leaves from the Mulberry Tree. This is the same tree used to cultivate silk worms for the Silk Industry in Thailand. From the Highlands of Thailand, known for fertile soil, clean water & pure water.